Fee: $30/$25 members - includes an autographed copy of House Hold, refreshments and admission to the sculpture garden -- come early for a stroll around the grounds! Register online now. Lynden Sculpture Garden's Women's Speaker Series, Bronze Optical, and Boswell books welcome Ann Peters author of House Hold: A Memoir of Place to the Lynden Sculpture Garden, Wednesday, April 23, 7-9 pm. Like the house built by her father on a hill in eastern Wisconsin, Ann Peters's House Hold offers many views: cornfields and glacial lakes, fast food parking lots and rural highways, Manhattan apartments and Brooklyn brownstones. Peters revisits the modern split-level where she grew up in Wisconsin, remembering her architect father. Against the background of this formative space, she charts her roaming story through two decades of New York City apartments, before traveling to a cabin in the mountains of Colorado and finally purchasing an old farmhouse in upstate New York. 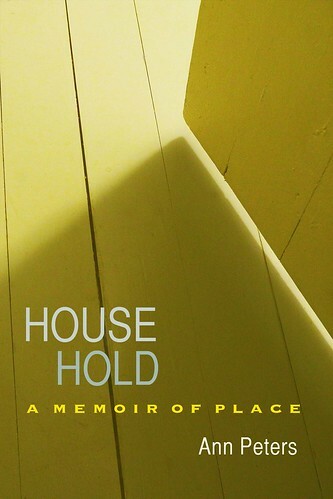 More than a memoir of remembered landscapes, House Hold is also an expansive contemplation of America, a meditation on place and property, and an exploration of how literature shapes our thinking about the places we live. A gifted prose stylist, Peters seamlessly combines her love of buildings with her love of books. She wanders through the rooms of her past but also through what Henry James called “the house of fiction,” interweaving personal narrative with musings on James, Willa Cather, William Dean Howells, Paule Marshall, William Maxwell, and others. Peters reflects on the romance of pastoral retreat, the hazards of nostalgia, America’s history of expansion and land ownership, and the conflicted desires to put down roots and to hit the road. Throughout House Hold, she asks how places make us who we are. Ann Peters is associate professor of English at Stern College, Yeshiva University, and the recipient of the 2012 McGinnis Ritchie Award for Nonfiction. She lives in Brooklyn and in upstate New York.